Hazal Selçuk, MA, MFA, RDT, REAT, RSME/T, AMFT provides couples retreats and relationship coaching. 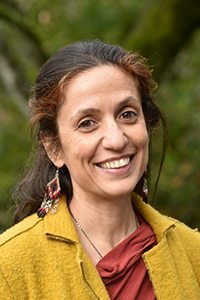 Hazal has a MA in Counseling Psychology and a Master of Fine Arts (MFA). She is an Associate Marriage and Family Therapist (AMFT), a Registered Drama Therapist (RDT), Registered Expressive Arts Therapist (REAT), Registered Somatic Movement Educator and a Registered Somatic Movement Therapist (RSME/T). Like John, Hazal conducts intensive private retreats. She also co-leads all group couples retreats with John. Hazal and John also offer special two-on-two private retreats. Working together, John and Hazal deliver a dynamic and powerfully transformative experience. Combining complementary backgrounds and representing both genders, they provide a broad range of approaches, tools and skills to meet any couple’s specific needs. Hazal also offers online and in person relationship coaching sessions for couples and individuals. She is the lead follow-up coach for Healing Couples Retreats. 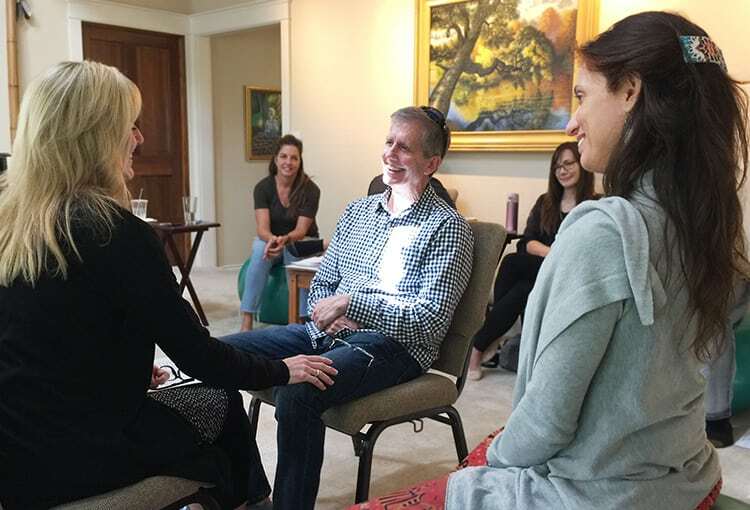 She provides follow-up sessions to help participants apply, integrate and master the tools they acquire in a retreat to their lives once they are back home again. In addition to her work with couples, Hazal also excels at working with individuals and groups with relationship issues. Having lived in five different countries on three continents, she is especially adept at working with cross-cultural dynamics and issues. Hazal received her MA in Counseling Psychology from the California Institute of Integral Studies (CIIS). She also has extensive training in the Psychobiological Approach to Couple Therapy (PACT). Additionally, Hazal has specialized and in-depth training in Drama Therapy, Somatic Movement Therapy and Expressive Arts Therapy. Having a wide range of experience, her background includes working at Langley Porter Psychiatric Institute, at the Center for Empowering Refugees, at the Lomi Psychotherapy Clinic, at the Mind Therapy Clinic in Marin, and at San Quentin Prison. “My husband and I miserably lived in a ‘hole’ for many years. Individual and couples therapy did nothing but give us more of a chance to blame and label each other. I was desperate for an intensive and in depth solution. “I researched and telephone interviewed several options. When I spoke with John Grey on the phone, I knew he was the one. He was booked out for a couple months and I was desperate for an earlier date. He suggested his wife, Hazal, and reassured me that she could help us. “As we did our prep work, we both grew excited knowing our relationship would be forever changed for the better. “My excitement turned to nervous anxiety a few hours before the first session. Hazal quickly made us both feel at ease. She quietly allowed us to each blame the other for about 15 minutes and then we stopped as she began to work her magic. The first three hours went by so easily as we began to learn a new productive and loving way of communicating. My tears overflowed. “Over the course of the next two days, our old ways had flipped for the better and for the first time in years, I trust and feel protected by my husband. I even crave him sexually which I haven’t done in I don’t know how long. “I looked at Hazal several times throughout our few days and told her, ‘Hazal you are SO GOOD.’ She is a master of teaching change and how to express true fears and feelings. Her voice and mannerisms are so soothing. Her technique and exercises are eye opening. Hazal’s approach is informed by current neuroscience and attachment research as applied to how partners in intimate relationships can function securely and sustain lasting happiness and satisfaction. Hazal has extensive training in expressive arts and drama therapy. She brings warmth, embodiment, and playfulness into her work. Her work with couples and individuals is based on the principle that we all want to be seen, heard and understood, especially by the ones we love the most. Whether we fight over small things, or big issues — if we become stuck, entangled or estranged from our partner, it impacts our entire quality of life. The tools Hazal gives to people enable them to overcome reactive cycles and resolve their issues, both large and small. Instead of escalating into states of emotional upset or shutting down, with her guidance, partners learn to repair upsets, speak from their hearts, and express what they need in effective ways that enable them to feel loved, respected, and connected. “Allow us to express our gratitude for helping us with what matters the most in our lives. We are holding the wisdom you’ve shared with us very close to our hearts, as it has been guiding us. “We have been very supportive of each other and have effectively put in practice your tools. Many things have happened as a result. We realize our partner is there to support us. We find what we need in our partner. “We are quite surprised by how deep your teachings have touched us, allowing us to feel safe together, calming our fears at the very moment in which they are triggered — or as soon as it becomes possible. People can struggle with relationships for a long time. Like many, they may find high-quality love almost impossible to sustain long term, but instead find themselves reacting more and more over time. Little things turn into major fights, in ways that make no rational sense. Resulting emotional wounds never heal, but instead can create walls between them. People fall under the spell of primitive parts of their brains which act out increasingly destructive patterns. They fall into states of fight, flight or freeze, even blowing up or shutting down. Such reactive patterns are entirely unconscious. They operate without our conscious permission or understanding. They connect back to our early wiring — wiring that subsequently influences the way we see, think about and act in our relationships for our whole lives. The only way to change this is to consciously become aware of what these patterns really are and learn new tools to overcome them. You are not doomed to simply repeat these patterns throughout life. It’s important to realize that our ongoing pain is actually the product of a long lineage of unintended faulty wiring — and that we have the power to transform this as adults in our chosen relationship. By understanding the underlying mechanics of human bonding and how our wiring shapes the way we each attend to that bonding, we create the possibility for growth. Literally. Brains are plastic. This is called neuroplasticity, or the ability of the brain to change its wiring with the right experiences. With compassionate and skillful guidance from Hazal, you will develop a new awareness of the underlying mechanics in how you engage in relating so that you can experience a healthy relationship — a whole new way of relating that naturally encourages safety, trust and freedom. Hazal’s private retreats are generally six hours a day, each day comprised of two 3-hour sessions with a relaxing 90 minute lunch break in between. Retreat lengths can vary from 2-days to 4-days, including a 2 1/2 day retreat as well. 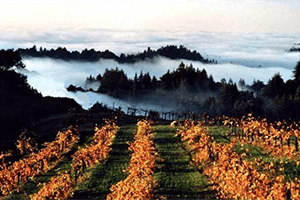 Retreats take place in the lovely small town of Sebastopol in Sonoma County, home of the wine country. During your time together with Hazal, you will address your particular challenges and needs as a unique couple. You will come away with new experiences, frameworks, tools and a new set of custom-designed agreements to help consolidate the progress you make in a highly practical way that you can take home with you. And follow-up sessions with Hazal are also available in person and via Skype. Loving, lasting change is possible. COST: The per-couple cost is $1950 per day for a Private Retreat. 2-day to 3-day retreats are available. Travel, meals and accommodations not included. TIMING: We meet from 10:30 AM to 6:00 PM, with a 90 minute lunch break. DATES: Private Retreats are offered throughout the year. View the calendar of available dates below. FOLLOW-UP: Hazal offers online follow-up coaching to help you integrate the tools and changes you acquire in a retreat and keep moving forward on a positive track. CONTACT US: We would be happy to discuss our Private Retreat with you either by phone or email. Feel free to contact us with any questions you have. ACCOMMODATIONS: We have a list of recommended places to stay. 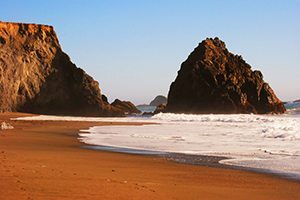 Having your couples retreat location in our part of California is a special joy. Here, you can choose between a wide variety of charming cottages, hotels, B&B’s and inns.